While plantain has potential for reducing nitrogen loss on dairy farms, issues like the cost of establishing and maintaining plantain may offset some of its benefits. 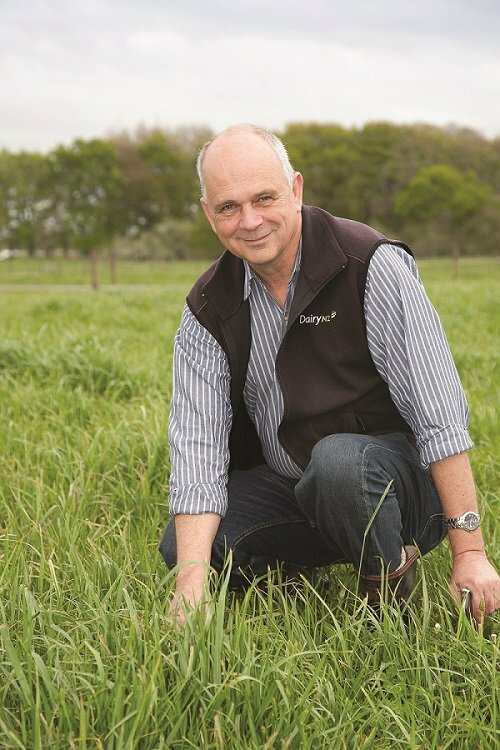 DairyNZ farm systems specialist Chris Glassey explains why. 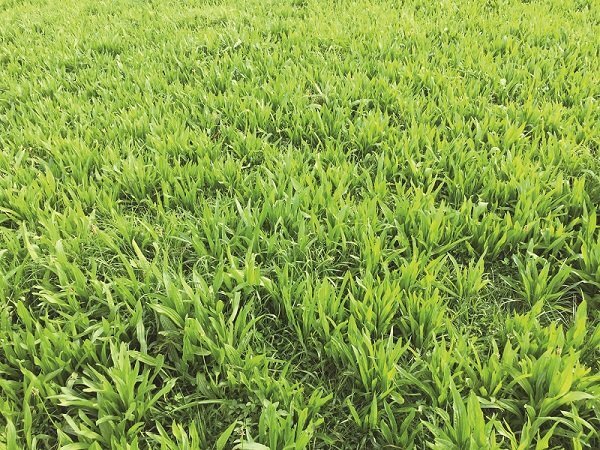 Since October 2017, DairyNZ researchers have been attempting to establish and manage plantain in mixed pastures on 30 percent of DairyNZ’s benchmark farmlet at Scott Farm, Hamilton – without disrupting its production cycle or adding significantly to its working expenses. Stocked at 3.1 cows/hectare (ha), the farmlet averages 1150 kilograms of milksolids/ha (kg MS/ha) and aims to do this with very little purchased feed from outside the milking area (System 1). Any disruption to the normal pasture growth curve has to be carefully managed to avoid adverse impacts, given the farmlet’s high stocking rate, as establishing any new pasture can be disruptive to feed supply. Successful establishment results from broadcasting 3kg to 6kg of plantain seed/ha onto existing pasture in spring, particularly after pugging damage. A paddock broadcast in November 2017 (without spraying) resulted in a plantain population of 13 plants/square metre (m2) in April 2018. Plantain establishes well when direct-drilled in spring (again without spraying) into annual ryegrass. This resulted in plantain populations of 50 plants/m2, with an additional cost of broadcasting 3kg/ha of white clover seed in summer to help fill the gaps as annual ryegrasses died out. So far this has been achieved with little disruption to the farm system. Attempting to establish mixed ryegrass/plantain pastures using spray-drill in spring 2017 had issues for ryegrass establishment, as summer weed grasses competed vigorously with ryegrass. Plantain established reasonably well (27 plants/m2 in April 2018). Ryegrass was successfully re-drilled in autumn. An additional cost will be the spraying to control summer weed grass seedlings germinating in spring 2019. Establishing new pastures including plantain poses problems in autumn. Plants successfully establish but then limit the use of herbicides for controlling weeds during this time. Best practice grazing management can also be compromised by high nitrate levels in new pasture. Bypassing these issues might require establishing the ryegrass in the autumn, before adding the plantain by broadcasting in spring. Winter grazing management for mixed plantain pastures appears to be different to ryegrass. Long intervals between grazing over winter for pastures including plantain appear to reduce the palatability of plantain compared with ryegrass. Cows offered paddocks that hadn’t been grazed for at least 10 weeks (from May to August) grazed all the ryegrass in a paddock first before eating the plantain eventually. DairyNZ and a group of collaborators are currently sourcing funding for research that will give us a greater understanding of plantain’s future role in both profitable and sustainable milk production, which reduces environmental impact.